A strange fish, this one. A weird hybrid at the time, I got it cheap through a mate who had a deal with then importers Rose-Morris. 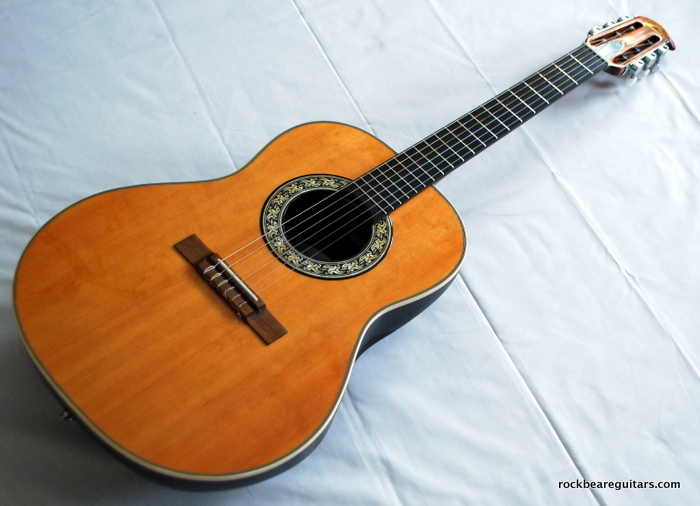 Nylon strings, classical-style bridge, completely flat wide neck and slotted peghead with spruce top, fibreglass bowl back. ‘Immortalised’ by Glen Campbell. 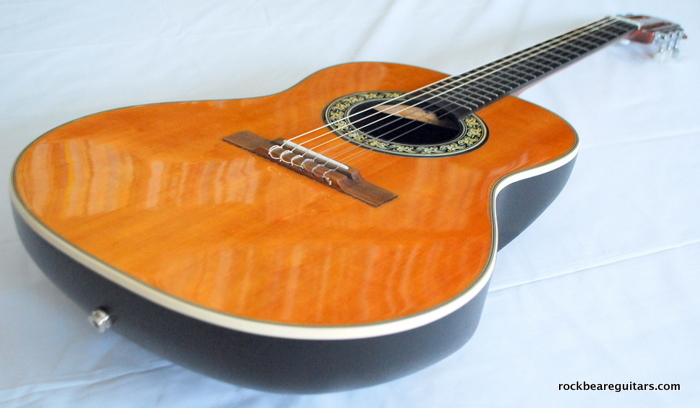 A few years back, I had a Fishman blend system fitted. 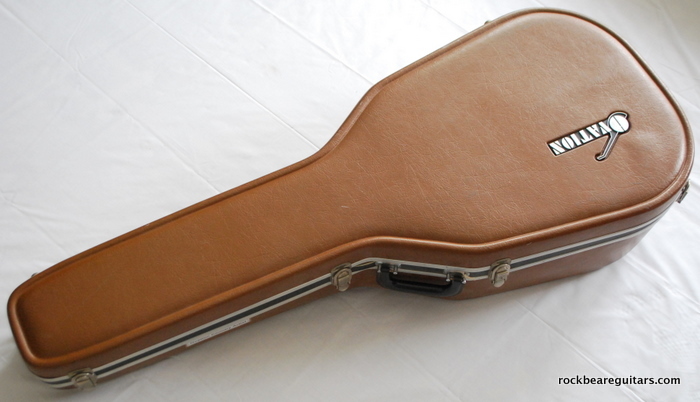 It’s a very nice-playing and -sounding guitar, giving good nylon-strong tones acoustic or electric, in dead mint condition with matching Ovation hardcase and all paraphernalia. 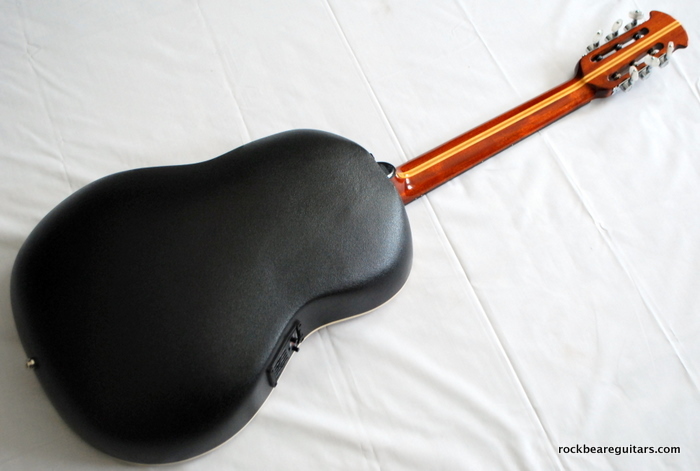 Is this guitar available for sale? If so, would you ship to Melbourne, Australia? Please quote your asking price and suggested shipping option. Thanks for your enquiry. 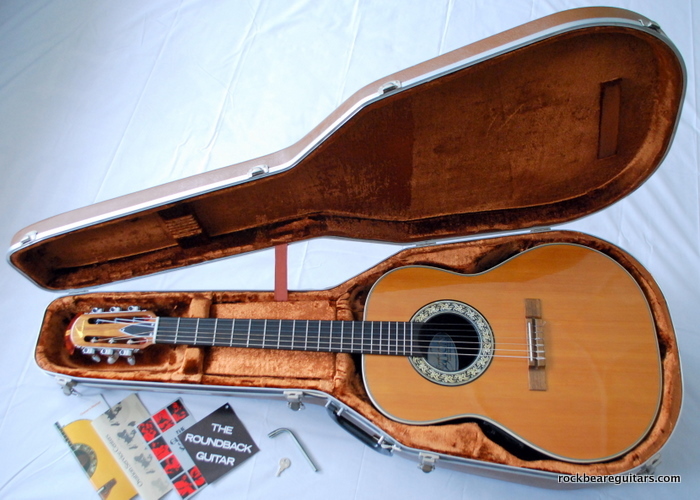 I’ve owned this guitar from new and it was in its original acoustic only form until I had a Fishman Prefix system installed about ten years back. It’s otherwise in mint/brand new conditon. I would not sell this it for less than GBP1000, and the last time I shipped a guitar safely from Aus (my black Charvel Spectrum), it wasn’t cheap, ca.UK200.